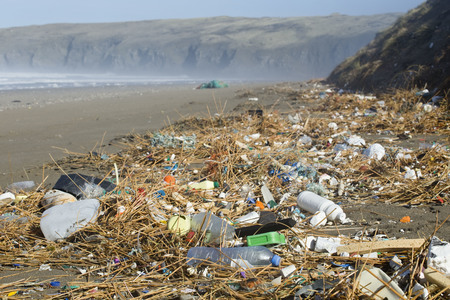 "Stop marine plastic pollution by introducing a small, refundable deposit on all plastic bottles, glass bottles and cans to recycle the 16 million plastic bottles thrown away every day." The following is an email I've recently received from the peeps at 38Degrees.org... It's about an interesting idea on how to reduce the marine plastic pollution. Worth a read (even if you don't live in the UK). Right now, the government is drawing up a plan to tackle litter in Britain. And there’s a simple solution. They’re considering starting a bottle deposit scheme: 10p is added to the price of a drink and if you return the bottle you get the money back. It would mean that millions of bottles would get recycled. But they haven’t made up their mind yet, and sugary drinks company lobbyists are pushing hard to get them to drop the idea. A huge petition would prove to the government the public supports it, and could convince them to introduce the scheme. Other countries are already using bottle deposits to tackle plastic pollution. In Norway, 96% of bottles are returned by people for recycling. We can clean up Britain’s towns, cities and beaches too. But first, we need to show the government that thousands of us want a bottle deposit scheme. Can you add your name to the petition now? Lorna, Trish, Robin and the 38 Degrees team"